Seaweed extract promotes healthy establishment of plants. Srengthens roots through their naturally occurring micronutrients. This will mean bigger crops and longer lasting flower dispalys. Makes up to 300 litres when diluted. Seaweed extract promotes healthy establishment of plants, strengthening roots through their naturally occurring micronutrients, which will give bigger crops and longer lasting flower dispalys. It improves natural plant vigour and robustness, so they can better withstand environmental stresses. Makes up to 300 litres when diluted. 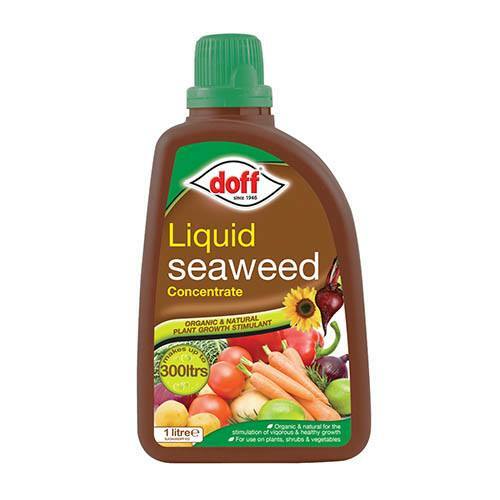 1L bottle of concentrate contains extracts of seaweeds.